I know how to relax and release anxiety. I have some stress in my life, but I know how to manage it. I have many techniques at my disposal and can quickly counteract any stress or anxiety I am feeling. I can do this quickly, easily, and effectively. 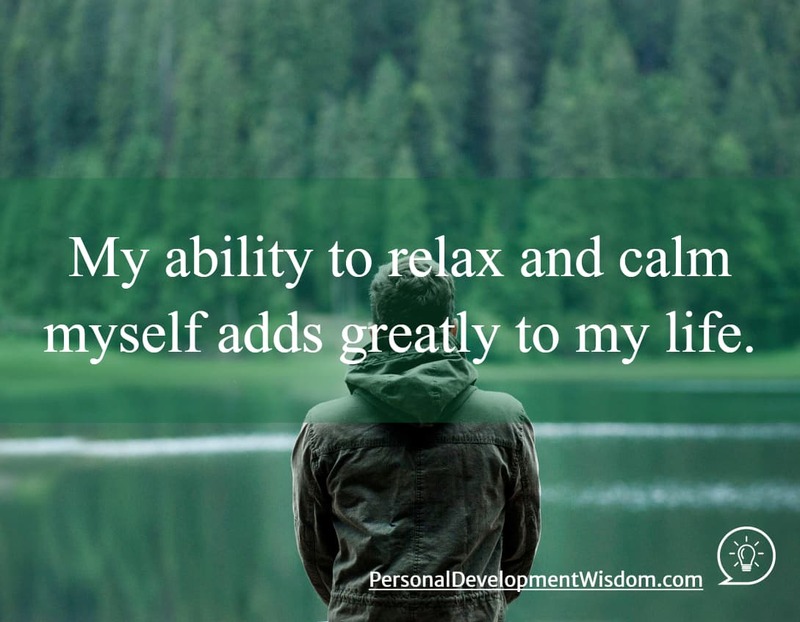 My ability to relax and calm myself adds greatly to my life. Because I am so good at dealing with anxiety, I am able to do things others are too afraid to try. I can do anything, regardless of how scary it might be. My ability to manage my emotional states makes be courageous. I am able to extinguish any negative emotions rapidly. I notice when I first begin to feel stressed and take action immediately. I relax my body and focus on my breath. I quickly feel much better and able to take on the world. I do this several times each day. I have many opportunities to practice releasing my stress and anxiety. Traffic, waiting in line, and minor disagreements are all excellent practice. I know that mastering the minor stressors in life is the key to mastering the bigger stressors. Today, I am taking the time I need to release my stress and anxiety. I am relaxing my body and mind. I know how to relax and release anxiety. What are my strategies for relieving stress and anxiety? Are they effective? What are the biggest stressors in my life? What can I do to make my life less stressful? You might be interest in 20 Stress Relief Toys For Adults.